The story of human evolution goes something like this: humans evolved in Africa 300,000 years ago and about 70,000 years ago, a small group moved to other continents, giving us today's populations. But two new studies suggest our family tree may be much more tangled than we previously thought. Scientists in Europe report evidence that modern humans and Neanderthals interbred much earlier than we thought, and that Neanderthals and their sister group of Denisovans may have had ample time to mingle. We knew humans had Neanderthal DNA from our entrance into Europe, but we didn't know that Neanderthals already in Europe had a human genetic legacy, too. Their DNA shows complex ancestry — their nuclear DNA (inherited from both parents) connects them with Denisovans, a group that lived thousand of miles away in the Siberian cave Denisova, whereas their mitochondrial DNA (passed on only from mothers) links them to humans. New DNA evidence from a 120,000-year-old Neanderthal fossil suggests Neanderthals inherited their mitochondrial DNA from an ancestor who lived 270,000 years ago. A revised picture: Neanderthals and Denisovans had a common ancestor half a million years ago that gave rise to Denisovans in Asia and to Neanderthals in Europe. More 270,000 years ago, African humans closely related to us migrated into Europe and bred with Neanderthals, that carried their DNA. "But somewhere in prehistory, at least one female human from Africa must have carried the child of a male Neanderthal," Carl Zimmer writes in the NYT. In a separate study, Svante Paabo and his team report the discovery of a "baby tooth" in Denisova. Unlike Neanderthals, the history of the Denisovans is largely unknown due to a sparse fossil record. (Until now, scientists have only found bone fragments of three Denisovan individuals.) 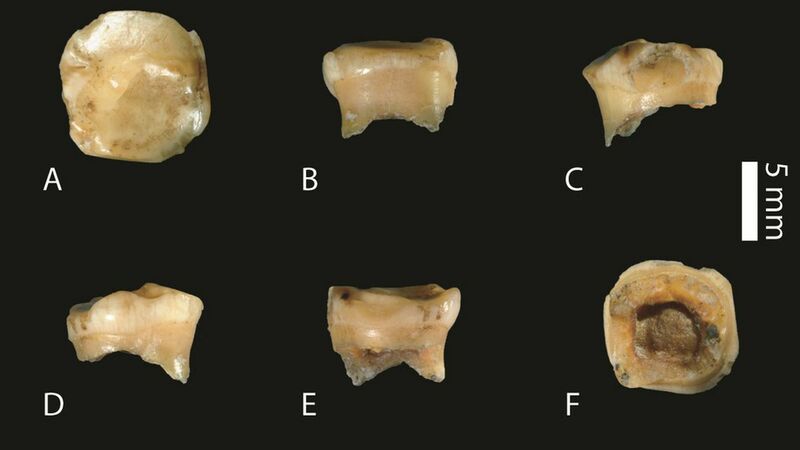 The newly discovered molar is from a fourth Denisovan, a young female, and is believed to be at least 100,000 years old — 20,000 years older than the other Denisovan fossils. That means they may have had more time to mingle with Neanderthals than previously thought.